Today, Docklands Office Furniture and other forward thinkers, supply high quality used office furniture to the UK marketplace. This diverts used office furniture out of the Landfill waste stream and back onto the market. Furniture destined for the dump is instead working and fulfilling it's function again. Quality used furniture looks and perform similar to new furniture but there is an average saving of 80% compared with new. Docklands Office Furniture’s quality, used office furniture or their remanufactured office furniture offers an attractive alternative to purchasing new. You can be assured of a quality product, a cost effective and most importantly, an environmentally – conscious product. What’s good for our environment really is good for business. 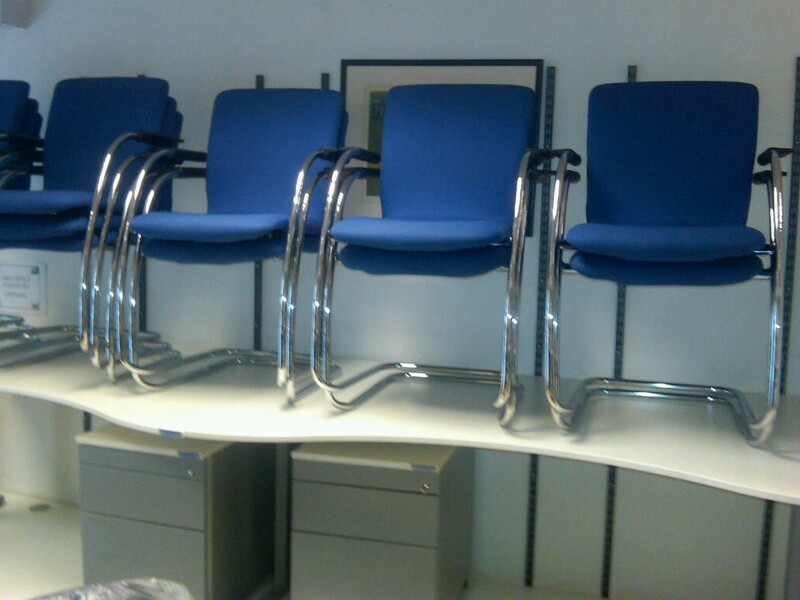 Docklands Recycled Office Furniture have been supplying top quality used office chairs for over two decades. Seriously, if you are in the market for some second hand office chairs you should come and see us first. You could save a small fortune! No enquiry is too small - and no enquiry is too large! 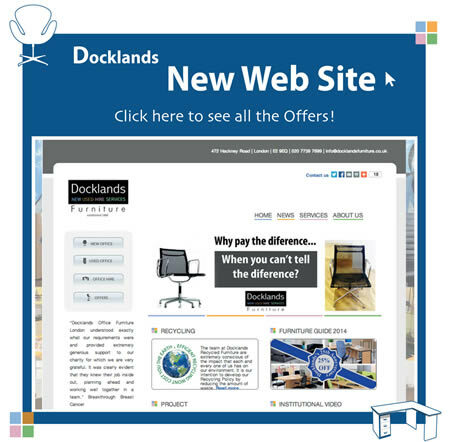 From one chair to an entire office block, Docklands are definitely the answer! 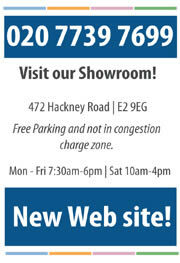 Call us now on 020 7739 7699 for friendly, knowledgeable service. It's great for the environment and good for business! Recycling paper, glass, tin cans and other products is now standard practice in homes and offices across Europe. But many are unaware that office furniture is also recyclable. If you think about it, the basics of most office furniture has a long life span. Instead of wearing out however it is often replaced because it has become outdated over time. In the past, an office refurbishment or a new colour scheme meant old furnishings were doomed to the dump, But not any more.